Off I ventured yesterday morning to Walsall and The Holiday Inn at Junction 10. The drive across was great, I’d forgotten how quiet the roads are first thing on Sunday morning. We were given a great spot by the organisers “Not Just Exhibitions” right by the door in one of the main suites, so access to and from the car was great. The flow of brides was excellent from the start at 11am through until around 1pm, the second half was fairly quiet and between 2pm and the finish at 3pm we only spoke to a couple of brides. Enquiries came from far and wide and last night I had my head buried in my Black Country A-Z; Willenhall, Shifnall, Darlaston, Penfields, Tettenhall, Bloxwich…… All in all we were really pleased with our first Wedding Fayre experience! P.S. The tea at the Holiday Inn tastes like coffee, may be it was coffee, it certainly wasn’t tea, may be it was half tea/half coffee! Here We Go! Have Car Will Travel! 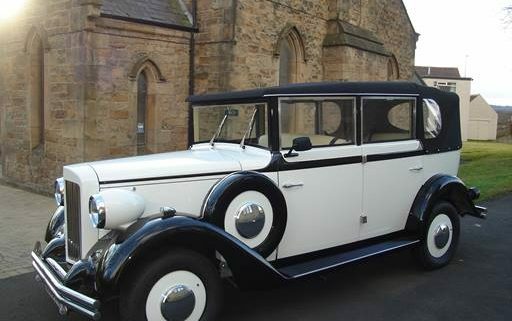 https://www.loveweddingcars.co.uk/wp-content/uploads/2012/09/Wedding-Cars-Sutton-Park-017-1.jpg 688 1224 Daniel Musson https://loveweddingcars.co.uk/wp-content/uploads/2017/02/lwc-logo-1.png Daniel Musson2012-09-14 20:17:172018-01-24 18:09:14Here We Go! Have Car Will Travel!